Twin Towers Correctional Facility Jail | Arrest & Bail Bonds Info. Twin Towers Correctional Facility Jail | Arrest & Bail Bonds Info. Has a male friend or loved one been arrested, taken into custody and housed at the LASD Twin Towers Correctional Facility Jail? If so, you’ve probably got a lot of questions about just how to get them out. Luckily, you’re in the right place. Adventure Bail Bonds is here to help you anytime of the day or night. We have licensed, professional agents who can meet with you at your home, our office, directly at the jail or any location of your choice. What’s most convenient for you? We can work in person or quickly and easily by fax or email from wherever you are located in the United States and beyond. We use the latest technology to access the defendant’s information and get them processed out of the jail as quickly as possible. The Twin Towers building consists of two towers, with a medical services building, and the Los Angeles County Medical Center Jail Ward. It is administrated by the Los Angeles Sheriff’s Department. Booking and processing is the procedure that takes place after arrest in which fingerprints and photographs are taken. A background check is conducted as well in order to find out if there are any other outstanding warrants for the individual and to discover their criminal history (if any). Once this procedure is complete, bail is set for those who are eligible. Booking and processing is often conducted at the local police station immediately after arrest. However, it takes place again once an inmate is transferred to one of the larger holding facilities such as the Inmate Reception Center or IRC at Twin Towers. After a bond has been posted, it can take anywhere from 6 to 24 hours for a defendant to be released from this very large jail. Therefore, we always recommend posting a bail bond for them as quickly as possible to ensure the fastest release. Not all bail is created equal, however. The amount of an individual’s bail can vary pretty widely and will depend greatly on the defendant’s past criminal history (if any) and the number and severity of the crime(s) they are charged with. 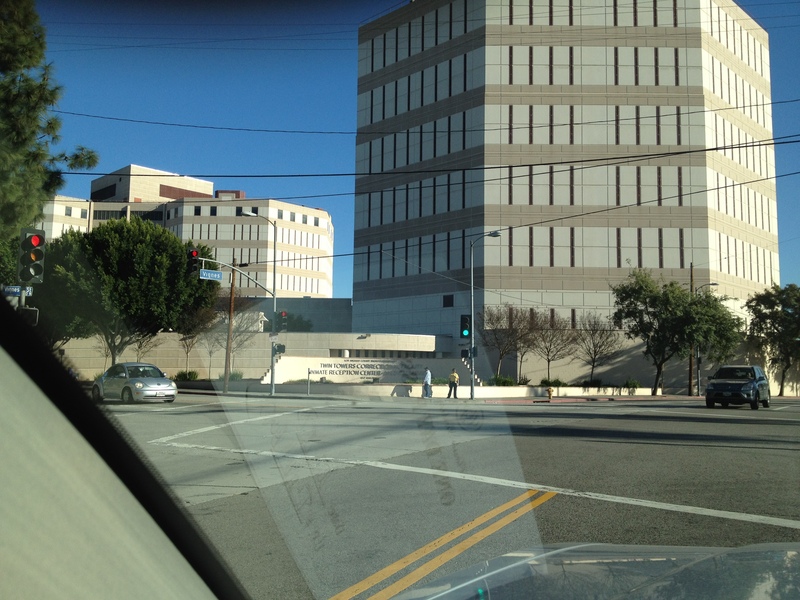 For more information on how they set bail, see the California Superior Court Los Angeles Felony Bail Schedule. To pay for a bail bond, we accept major credit cards including: American Express, Visa, Discover and Master Card. We also accept check, cash, money order, bank account transfer and money wire. Remember to ask if you qualify for a discounted rate! The IRC or Inmate Reception Center is located at Twin Towers. IRC is a temporary holding facility only, where defendants are processed prior to being housed at Twin Towers or Men’s Central Jails. There is no visitation allowed while an inmate is at IRC. You can also schedule a visitation up to 7 days in advance. Click into the Los Angeles County Sheriff’s Department web-based Inmate Visitation Scheduling System. Jail Visitation Rules: Always remember to adhere to the rules and regulations of the jail if you plan to visit. They are there to provide for the safety of both you and the inmates housed within. Advance Pay Phone Account: Instructions to set up a prepaid phone account for an Inmate. Mail Instructions and Regulations: For sending an inmate mail while in custody. Do you have additional questions about Twin Towers Jail bail bonds? If so, speak with a friendly, licensed bail bondsman today. A caring bail bondsman can answer all of your questions and help get your friend or loved one out of custody fast. Call us toll-free, 24 hours a day toll-free at, 855-414-2245 or locally at 213-373-JAIL (5245).